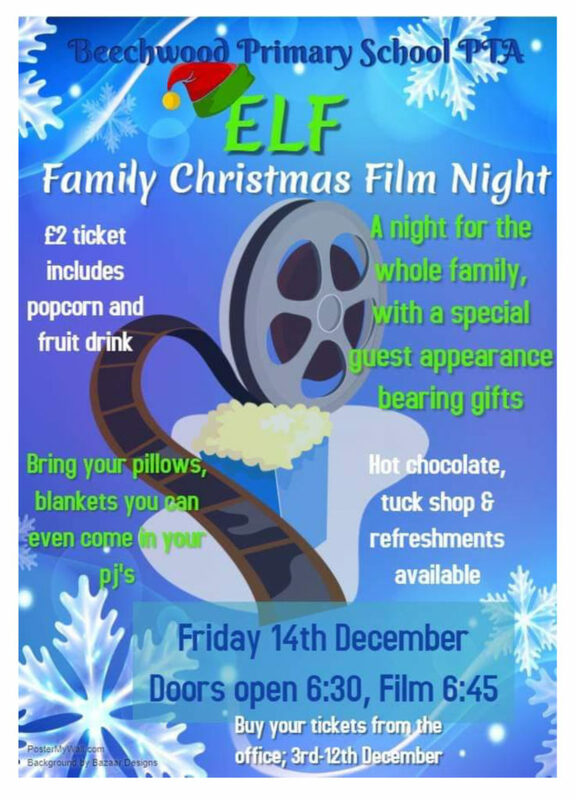 The PTA invite you along to their last event of the year which is a Family Christmas Movie Night taking place on Friday 14th December. Elf has been voted as the film to watch and we encourage you to come in your pyjamas with blankets, pillows and anything you need to make yourself comfy. At the end of the film, there will be a visit from a very special guest who will have a small gift to give to each child. Tickets are £2 each and include a drink and popcorn. Tickets are on sale now until 12th December. Adults do not need to purchase a ticket but must still sign the register as we have a maximum capacity in the hall that we need to be mindful of. Thanks for your support this year Beechwood PTA.